Life of a BZscrapper: The Cutting Cafe' - Getting Our Planners On! Over at the Cutting Cafe we're getting our planners on! This will be the second year I've been using Regina's Printable Planner pages for my planner and I just love them! 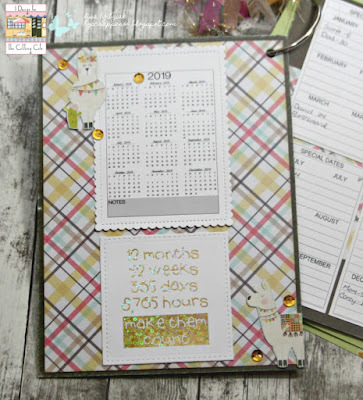 Today I'm sharing with you this year's planner cover. I changed my format a bit to make my planner a little bit smaller and more convenient to "store". I've made my pages 6x8" and simply added them to a large ring. For my cover I started with a thin piece of upcycled cardboard... like from the back of a notepad. 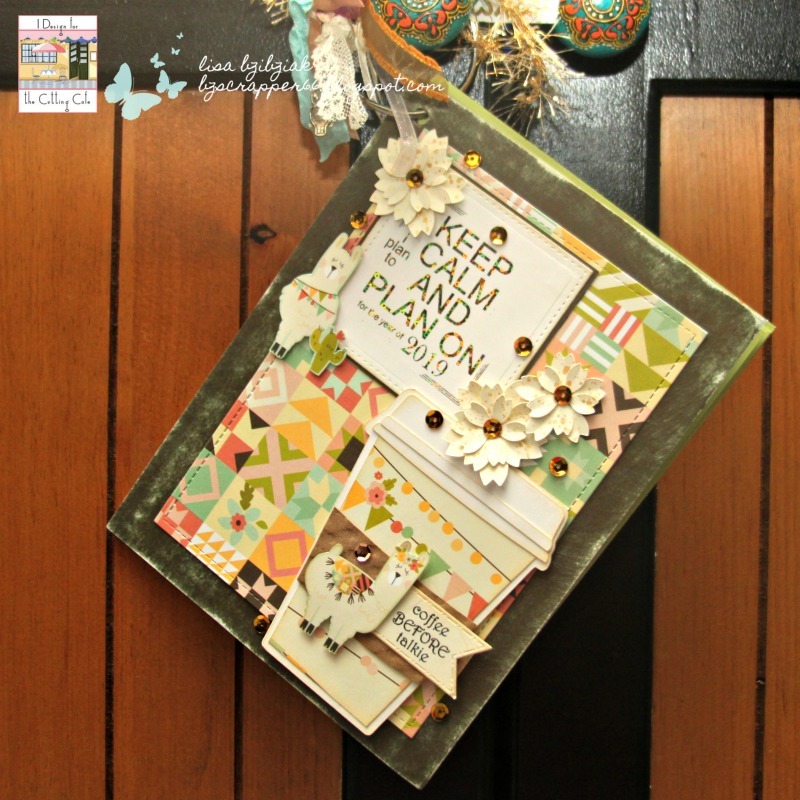 I covered both sides with cardstock and then decorated the front. 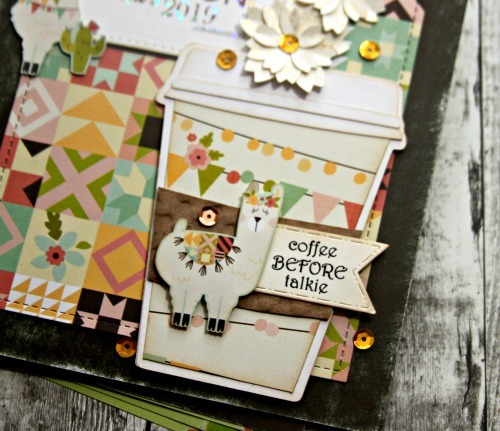 I came across this coffee cup shaped card that I created a while ago using this file here and some pretty papers. I decided to use some leftover papers I had and that cup for the front of planner. 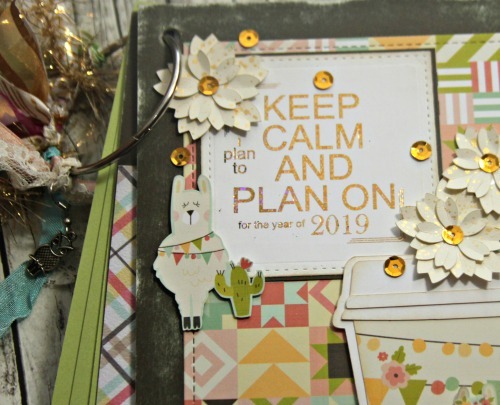 I printed this cute sentiment from the 2019 Planner file on my laser, die cut it out and then ran it through my Minc with some gold sequins foil. And I had some of those pretty flowers leftover from making my embellishment gifts in December ... already splattered with gold even! So I added those to it too along with some another cutie pie llama that I cut out of the papers and a few sequins. On the inside of my cover I added a calendar of the whole year along with another foiled sentiment from the Cutting Cafe Planner file. 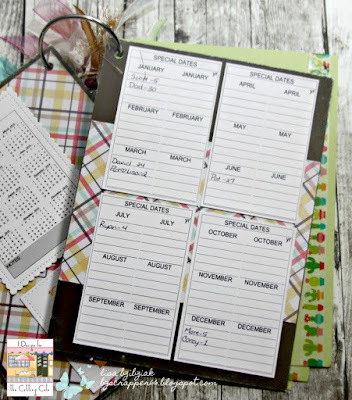 And the next page I printed these Special Dates sheets in a small size so they'd all fit on one of my pages for a quick reference of special dates for each month. As long as I hang it up where it belongs, I won't have to unearth it from wherever it's gotten buried. Hopefully it will help me to not forget things! 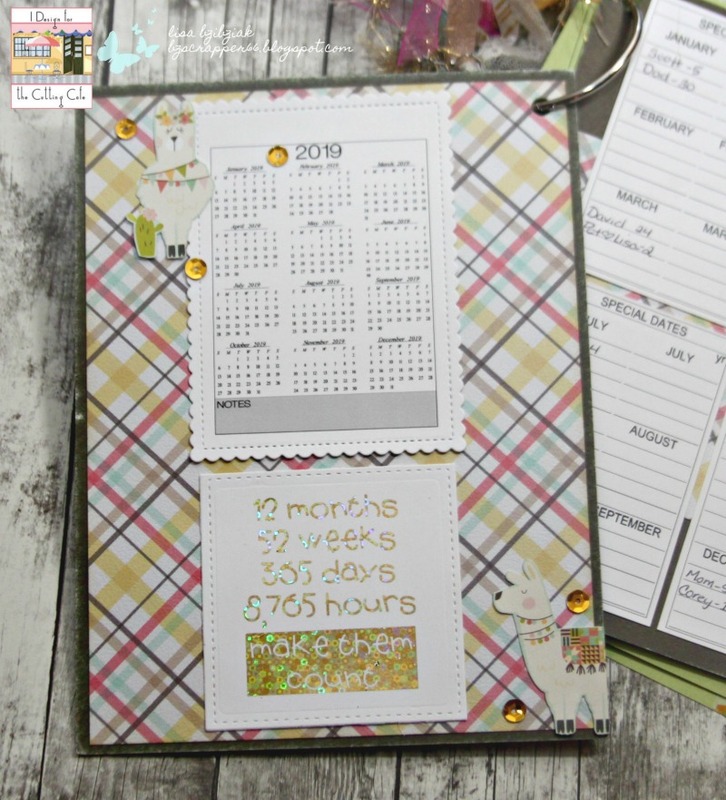 I'll be sharing more of my planner during our next Cutting Cafe post on the 21st! 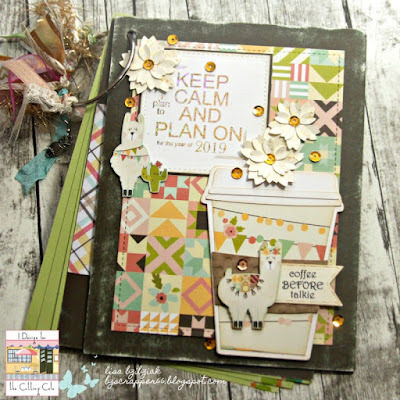 But until then, head on over to the Cutting Cafe Blog and see what everyone has created and how they are using the planner files! Hi Lisa, this is a beautiful design. 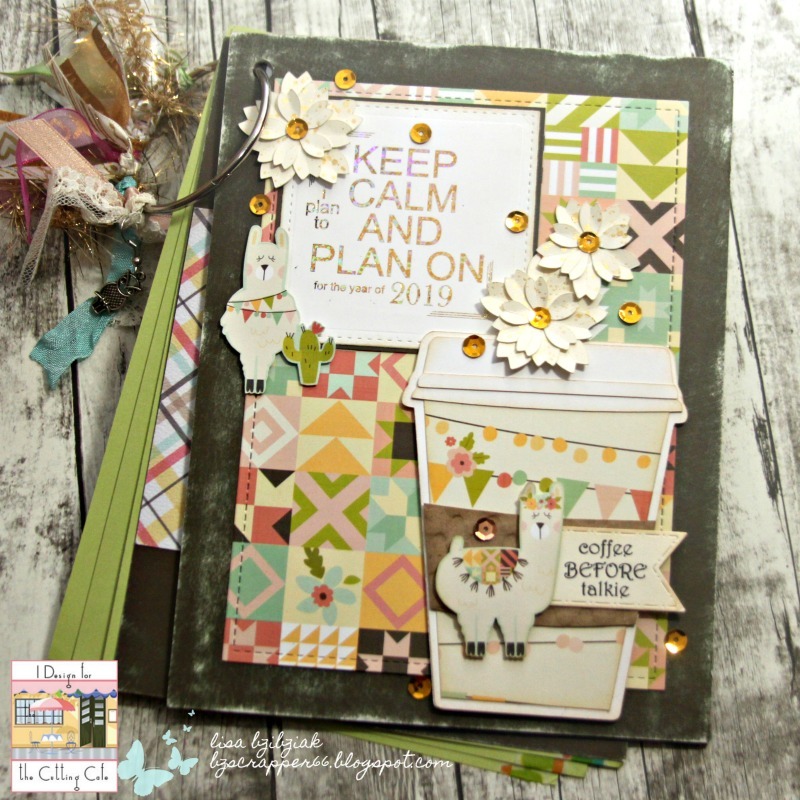 Love your colour pattern, the design and all the elements you use. So pretty project! I seen the front on FB, but the inside is sooooo beautiful too. Love everything about this. Great work, Lisa.